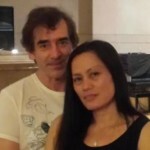 “We both joined Christian Filipina in May 2015. I had been a member for about one week and Angel had been a member for one day! Our first contact was on May 29th and we started chatting as friends. Our friendship developed very comfortably and we were in touch every day. We soon started chatting. Even though we were far apart, our friendship became very strong and our long distance friendship grew quite strong, more than just friendship. We were very keen to meet and I had the opportunity to travel to Hong Kong in July. Angel was able to meet me at the airport. It took a few minutes to find each other, but I will never forget that moment when our eyes met. It was only a short trip, but we spent enough time together to know that we both wanted to continue our relationship. We continued our relationship online, but we wanted to see each other again. The opportunity came around in September when I went back to Hong Kong. On September 27th, we went to church together and then attended a birthday party with Angel’s friends. It was the perfect time and place to take the next step in our relationship. I proposed to Angel, and she accepted. 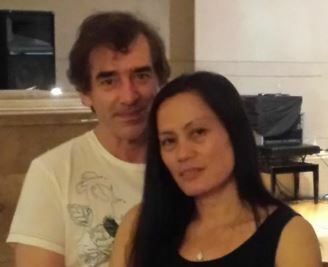 We started working on our plans for marriage and for Angel to come to Australia to be with me.Angel was going back to the Philippines for her Christmas break, and that would be our next meeting. I arrived on the 26th of December and was there until the 3rd of January. It was a great trip! We had the opportunity to spend many days together, and I also met a lot of her family. They were all very welcoming and hospitable and I have made many new friends. 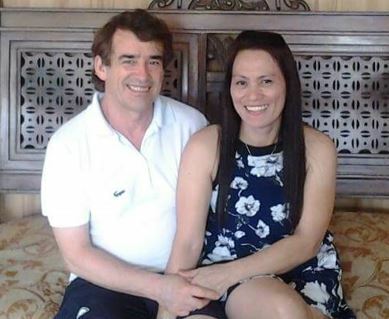 I am certainly looking forward to my next trip to the Philippines, and the time I did spend there was not enough.